Our 4-week group absolute beginners ukulele course is a great way to learn a new skill, meet new people and have fun. It’s structured, fun and fast-paced. As it’s held in a pub, you’re welcome to enjoy a drink (responsibly). You’ll meet new people but with a maximum of 12 people in a class, you’ll gain the skills to join in at a social ukulele jam night. The 4 weeks happen consecutively, so, if you start on a Monday, you’ll need to attend on the following 3 Mondays and if you start on a Tuesday, you’ll need to attend on the following 3 Tuesdays. Start dates are listed below. In week 1 you’ll learn to tune, hold, strum the ukulele and play 3 songs. In each subsequent week, you’ll learn 3 more songs, chords and strumming patterns to build new skills on the last, so please commit to the 4-weeks and allocate time to practice so you see quick results. If you put some time in on your own ukulele in between the classes, you’ll get an awful lot out of these 4 weeks as we’ll provide you with resources, backing tracks and in-between class support for you and your new peers. All you need to do is bring yourself, a ukulele and a sense of fun, then practice for at least 10 mins per day between classes. Does that sound good? If you think you cannot start learning an instrument later in life, think again. You are taken through chords, songs difficult chord changes, and before you know it you are playing 12 songs. I had some time to take up a hobby and i’m so pleased i started with this, before the last weeks lesson was over i had already signed up for another course to keep me going. Best thing I did for myself this year, without doubt. I’ve gone from regretting never learning an instrument, to playing the Uke being a part of my life I couldn’t be without. As a first instrument, I can’t recommend it enough. The community is ridiculously friendly and supportive, and you can just pop it in your bag and take it anywhere! Between Amanda & Lorraine’s lessons (lots of really helpful structure and a lovely relaxed learning environment), and the incredibly fun Ukulele Wednesdays (where there are an overwhelming number of difficult challenges if you like, but it doesn’t matter if you only play C every time you see it! ), I couldn’t be more happy. Absolute Beginners – Fantastically enjoyable. After watching YouTube tutorials for a couple of weeks and not really progressing I decided to enrol. A uke, a pint of cold beer, and a class of enthusiastic beginners taught by the crazy talented Amanda*, is there a better way to spend a Tuesday? * Amanda is able to sing in tune, drink wine, call out chords, keep time, change pace, play along, spot mistakes, smile, make jokes, and somehow after just four weeks has turned me from an absolute beginner into someone that can play a tune or two. I just finished the 4 lessons with Amanda and she’s a great teacher. Very enthusiastic and amazing singing ability. I was amazed at how far we all came. I will definitely recommend the course to my friends. Initially I thought I’ll be handicapped by not being able to sing well but I enjoyed strumming along to the homework every week. Then, on top of that, what an atmosphere at Ukulele Wednesdays… Definitely going to keep going there to practice, soak up the atmosphere and continue to get inspiration whilst I’m attending the courses. It was really helpful to play with others after I got over the initial fear of arriving to something new and feeling inexperienced. I wish I had found this class sooner! I tried teaching myself through online videos and solo practice, and I thought I had been making good progress, however I have made far more progress, in less time, with this class than I did on my own. Amanda is a great teacher. I will definitely continue on to the higher skill level classes next. 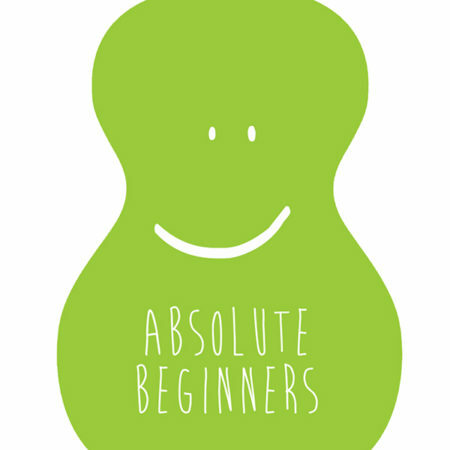 I also struggled to decide between the absolute beginners class and beginners 2 (because of my online practicing) and I am glad I went with the absolute beginners. The FAQ online was helpful in that decision and I ended up in the right place. Love it! It’s so much fun and Laura’s really patient and encouraging with us. Well, so Absolute Beginners course is amazing. In just four weeks, you will learn all the basic you need. With the chords and strumming patterns learned there is a ton of songs to play already. I’ve never played any instrument in my life but it has always been a big dream ! Thanks to Amanda, I can finally play songs that don’t sound too bad ! She was so enthousiastic to teach us. It was a real pleasure. Thank you so much ! I’m very happy so far and considering doing the next course. Great fun- I couldn’t believe that I could actually play several songs after the first lesson! By the end of the course, and with some practice, I have felt confident enough to go to a local uke club. I can’t play everything, but I can definitely join in. Looking forward to the next level. I’m glad I chose to learn in a group rather than taking private lessons; met great uke friends, the atmosphere was fun and supportive. So enjoying this course – our teacher is so helpful and although I’m still struggling with various elements of the grip and finger placement, I’m amazed at the progress we seem to be making as a group each week! I look forward to Monday evening each week and would love to book onto the next course and keep improving! A fantastic course with a really excellent teacher. Laura was clear, patient, fun and engaging. She kept us moving through the material at a steady pace. I had a fantastic time and learned many techniques which I should have learned years ago. I loved the songs and the discipline of the daily practice. A great course. I’d sign up for the next if the start time was a bit later. I had fun. Thank you! A great course – my only complaint is that it is finishing tonight. I would recommend this to anyone with a passion for the ukelele. It is pretty intensive and at first I found the pace very fast (being an absolute beginner) but I am so pleased that I persevered. I can join in with others and have gained the confidence to pop along to the Wednesday meetings. Wonderful. Thank you. Really good fun and a well prepared course with lots of supporting materials provided- both printed and online. The teachers are really knowledgeable and lovely. Definitely would recommend! Fantastic course, so worth doing! Great fun and goes at a good pace. Really good fun and friendly. Out of curiosity… what did you expect? Absolute Beginners was a perfect entrance and made me love ukulele and encouraged to continue. Laura is an awesome person and teacher. She was so understanding, naturally cheerful and kind. I am so happy to meet her.